18 year old grime sensation Yizzy has today unveiled the epic visuals for S.O.S., the title track of his highly anticipated EP, out now. The track deals with the issue of authenticity within the grime sound, as Yizzy brings the sound back to its roots over a heavy duty instrumental from genre production icon Treble Clef. 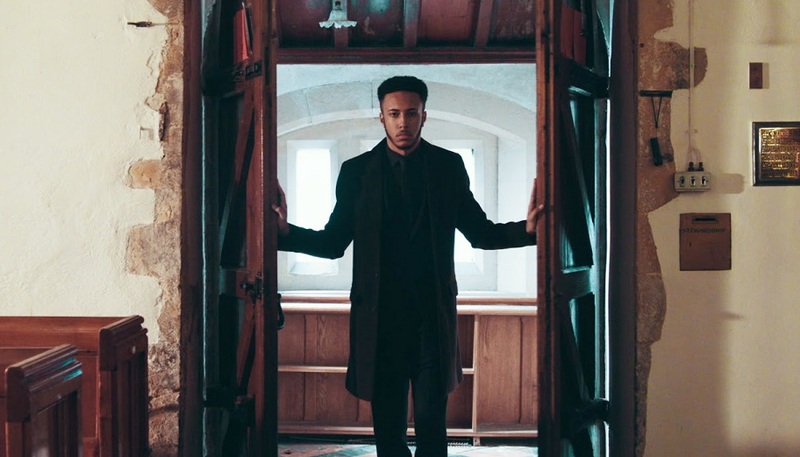 Using an empty church as a backdrop to the video, S.O.S sees Yizzy lead a grime sermon, exhibits Yizzy’s dominance vocally, unleashing an arsenal of flows via the medium of impactful storytelling on the EP’s title track while weaving in subtle references to grime’s pioneers before him across the project. The video’s holy settings also reference S.O.S.’s mammoth instrumental, with gargantuan choir harmonies enveloping impactful drum sounds that anchor Yizzy’s ferocious delivery and the track’s infectious hook, resulting in a high energy but ultimately monumental incarnation of the original grime sound. Watch it below! I believe each genre and sound has its own culture and share of struggles it’s been through over the years. I believe every genre should be respected and that the constant mislabelling is a disrespect to sound that many people, including myself, have grown to love over the years. That sound is grime and its authenticity, as a key part in UK culture, is something that needs to be saved. This is ‘S.O.S.’. Yizzy’s S.O.S. is a mission statement to pledge his allegiance to the forefathers of grime. Living his life on exactly the same timeline as the genre’s expansion and subsequent explosion into the public consciousness, Yizzy was born at the same time as pioneers Heartless Crew and Pay As U Go were revolutionising stages and radio sets; ingraining their culture into him from birth.